One of the essentials in developing large scale power projects is recognizing that every project has unique circumstances that require custom solutions. Symbion takes great care in selecting the local staff, local partners and local subcontractors that will ensure success. Before a project even begins, we evaluate local competencies and when it’s necessary we provide training. Symbion, its subsidiaries and its partners and associates have a network of facilities that support our investments. Symbion Power Associate Symbion Power Mauritius will build, own and operate 81MW of methane gas-to-power on Rwanda’s Lake Kivu. Construction will start in 2018. Symbion was a co-owner of Ughelli Power Plant a 972MW a natural gas asset in Nigeria. We exited the deal in 2015. Symbion has built, owned and operated three thermal power plants in Tanzania with a total capacity of 217MW. Working with the United States government and other large US firms Symbion was awarded 3 projects in Afghanistan in 2007. This included a 100MW thermal power plant in Kabul. 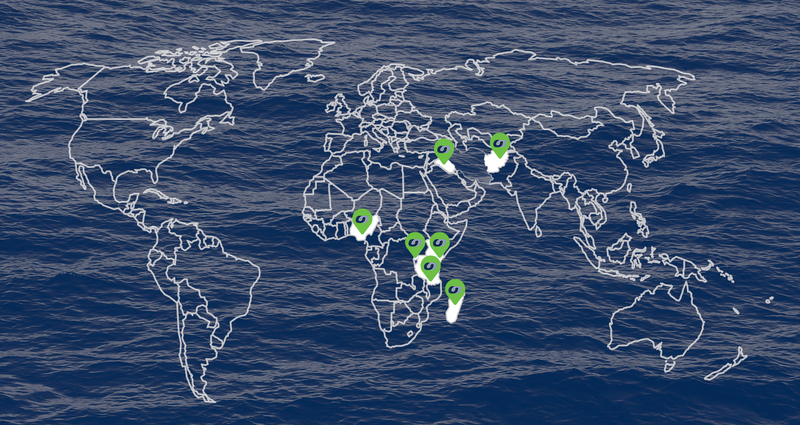 Symbion continues to develop new investment projects in developing countries. Symbion is a member of the Orpower 22 consortium in partnership with Ormat, a specialist geothermal investor and a private equity investor. Orpower 22 has executed a 35MW Power Purchase Agreement for a geothermal power plant at Menengai in Kenya’s Rift Valley. Construction is expected to start in 2018. Symbion Power Associate Symbion Power Mandroseza operates a 40MW Heavy Fuel Oil power plant at Mandroseza in Madagascar’s capital city, Antananarivo. Working with the United States government Symbion Power operated in Iraq for 7 years from 2005 to 2012 where it built over 1,000 kms of EHV transmission lines and 12 substations in some of the most dangerous areas of the country.